Building on the success of The Youth Radar’s massive FIFA U20 World Cup preview, we preview today’s round-of-16 clashes. Watch out tomorrow for the next part of our preview from this round. 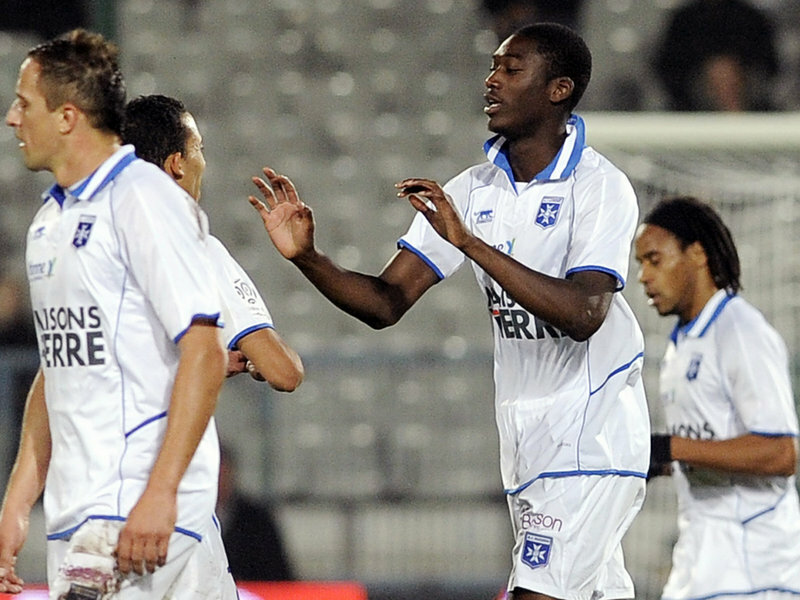 Yaya Sanogo has just signed for Premier League side Arsenal. The host nation will really test their strength against one of Europe’s powerhouses at this level. Salih Ucan looks Turkey’s most dangerous outlet and is apparently being scouted by Manchester United at the tournament. Turkey’s only defeat of the group stage came against Colombia and the marvellous Juan Fernando Quintero. They breezed past Australia and El Salvador but were odds on favourites to overcome the two weak links of Group C. France have Arsenal’s latest signing Yaya Sanogo in their ranks, who was vital on their way to a second-placed finish in Group B. The French started really strong against Ghana but couldn’t find a way past USA and, excusably, Spain. They are going to have to up the pace once again if they are to progress any further. Greece forward Dimitris Diamantakos was the second top scorer at the UEFA Under 19 European Championship. Uzbekistan are somewhat a surprise package of this tournament but as are Greece in any tournament they set foot in recently. Greece came to this tournament on the back of an European Under 19 Championship runners-up spot and finished top of their group to qualify for this stage because of a random pick out of the hat as themselves and Paraguay finished level on points, goal difference, goals scored and head to head. Dimitris Diamantakos, as recommended by The Youth Radar earlier this month, appears as one of their star players and grabbed a vital goal in their final matchday draw against the Paraguayans. Uzbekistan came into the tournament after an impressive AFC U19 Championship campaign with topscorer Igor Sergeev flourishing on the continent. He continued his impressive form as they thrashed New Zealand in their opening fixture. Form dropped but Uzbekistan managed to grind out a hard-fought draw against Croatia but ultimately faltered in their final game against Uruguay – losing 4-0. They came through as one of the best third-placed teams. Nicolas Lopez was instrumental in Uruguay’s continental qualifying competition. Nigeria have been considerably more impressive than they were perhaps in their continental qualifying competition. They narrowly lost against Portugal but came through against Cuba and edged victory in a tight game against South Korea to finish runners-up in their group. Abdul Ajagun has been Nigeria’s shining light, contributing three goals to their pursuit of the trophy. They take on Uruguay who’s only mistake of the tournament was an Ante Rebic goal which saw them lose against Croatia to also finish second-place. Uruguay however are one of the favourites for the crown in Turkey and something seems to say that we haven’t seen all that we should of the South Americans so far. Nicolas Lopez and Georgian de Arrascaeta have been sharing the goals between them but we’re still waiting for one to show their full potential and breakaway on the scoring charts. Jese Rodriguez is currently the second topscorer at the competition. Spain are the obvious favourites to win this competition and possibly have the easiest round-of-16 clash. Mexico narrowly edged through on goal difference after two very poor performances were eclipsed by their final matchday win against Mali. That 4-1 win saw them finish third and progress on goal difference as one of the best third-place teams. Jesus Corona, recommended by The Youth Radar, has seemed bright as has Jonathan Espericueta who plays in midfield for Mexican top-flight outfit Tigres. Spain have played some superb football and finished top of their group with three wins out of three. They never looked in any doubt of not qualifying and the European Under 19 Championship winners have been lucky to have the form of Jese Rodriguez, top scorer in that tournament, at their disposal. He has scored four times so far this tournament as he is in hot pursuit of Portugal’s Bruma, who leads the scoring charts with five.